The freehold buying and selling of residential real property became legal in Cuba on November 10, 2010, marking a major milestone on the island’s road to economic liberalization. The Cuban government is encouraging the creation of small businesses and private farming. More than 180,000 “self-employment” licenses have been issued since 2010, and the government has turned over four million acres of land to 143,000 private farmers since 2008. Today there are over 350,000 small private farmers in Cuba, producing 57 percent of the food consumed on the island and 60 percent of agricultural exports on just 24 percent of the land. 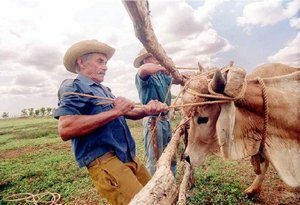 The Cuban state owns more than 70 percent of the arable land on the island, of which some 50 percent lies fallow. Yet even this situation is changing as economic reforms accelerate. Last month, Cuban authorities announced that the island’s private farmers would be eligible to receive land grants extending to 67 hectares (170 acres), up from the current maximum of thirteen hectares (33 acres). Cuba’s private farmers are an entrepreneurial class with growing disposable income. Cuba buys imported foreign goods, including new automobiles (now also legal), and are eager to sell its agricultural products to the United States. Sadly, Cuban agricultural products are still banned from import into the USA. Cuban private farmers and businessmen think this is ironic considering that the U.S. has exported nearly USD four billion worth of food and agricultural products to Cuba since 2001. While the U.S. will undoubtedly seek to help stabilize Cuba economically when relations are ultimately normalized, it will be constrained by Washington’s massive budget deficit and significantly reduced foreign aid allocations. Official U.S. policy is to encourage the growth of Cuba’s private sector as a means of developing democratic institutions. The U.S. government could concretely help the development of Cuba’s private sector – at no cost to the U.S. taxpayer – by introducing legislation that would allow preferential market access for Cuban agricultural products before the official end of the trade embargo against Havana. This most likely would require that the U.S. implement preferential (including protected) trade access for the island’s products, which are of agricultural origin and would not compete with products traditionally grown in the U.S. The U.S. has a history of providing development assistance and preferential trade access to developing countries, particularly to its Latin American and Caribbean neighbors. Several existing programs offer special access to the U.S. market for certain agricultural and manufactured goods from developing countries. Specifically, the U.S. has developed a Generalized System of Preferences (GSP), in addition to several regional preferential trade programs, such as the Caribbean Basin Initiative, the Andean Trade Preference program and the African Growth and Opportunity program. While certain products from Cuba would certainly be eligible for GSP status, the mandatory country requirements present additional hurdles for preferential trade treatment for Havana to qualify outside of the current political climate. However, these are not insurmountable. For example, Cuba repeatedly has offered to negotiate the settlement of claims for expropriated U.S. property, and since the demise of the Soviet Union, could not be considered to be dominated by “international communism”. In addition to the GSP, the U.S. also has implemented several regional preferential trade programs for certain Central American and Caribbean countries known collectively as the Caribbean Basin Initiative (CBI). Much like the GSP, the CBI was intended to encourage economic development and export diversification throughout the countries of the Caribbean Basin by providing trade and tariff benefits. However, such benefits were denied to any country deemed to be under the control of communists. President Clinton signed the African Growth and Opportunity Act (AGOA) in 2000 to increase trade and investment with Sub-Sahara Africa. In addition, the program sought to “stimulate economic growth, to promote a high-level dialogue on trade and investment-related issues, to encourage economic integration, and to facilitate sub-Saharan Africa’s integration into the global economy.” As of now, 38 sub-Saharan African countries are eligible for preferential treatment under the AGOA. In addition to the 4,600 products already eligible for the GSP, the AGOA adds 1,800 products which may receive favorable treatment from this category of countries. Most agricultural products are included in these lists. AGOA beneficiaries are eligible for substantial trade preferences that, in addition to the preferences provided by the GSP, permit marketable goods produced in AGOA countries to enter the U.S. duty-free. The U.S. government, in seeking to encourage and assist AGOA countries, established four regional trade hubs through which it provides assistance to governments and businesses seeking to export to the U.S. market. Similar to other preferential trade programs, the U.S. President determines on an annual basis whether sub-Saharan countries are eligible for their participation based on certain criteria. Such criteria, including the demonstration of progress toward the creation of a market-based economy, the establishment of the rule of law, and the enactment of beneficial economic policies to reduce poverty, protect internationally recognized worker rights and fight corruption. Given these criteria, Cuba could be eligible for an AGOA-type of preferential program for its agricultural exports. Both the U.S. and Cuba were parties to the General Agreement on Tariffs and Trade (GATT), the predecessor of the WTO. In 1962, the Cuban government was notified that the GATT would impose economic sanctions pursuant to Article XXI of the GATT, “Security Exceptions.” The U.S. invoked this article to revoke Cuba’s preferential sugar tariff and access to the U.S. market. As a result, the U.S. denied Most-Favored-Nation (MFN) status to Cuba. The U.S. is currently exempt from having to provide the MFN status to Cuba pursuant to Article XXI. However, if the U.S. were to resume normal trade relations with Cuba, it would be required to extend Cuba to “no less favorable” treatment than is given to every other country in the WTO, pursuant to this MFN principle. Article II of the GATT states, “Each contracting party shall accord to the commerce of the other contracting parties treatment no less favorable than that provided for in the appropriate Part of the appropriate Schedule annexed to this agreement.” Thus, the U.S. would be required to provide Cuba with the MFN rate of duty provided in the Harmonized Tariff Schedule (HTS). To date, the WTO has used the “10% share” rule to establish a “substantial interest.” This means that countries with the ability to service at least 10 percent of the import market are to be considered for allocation. In addition, if countries that supply less than 10 percent of the import market are given a portion of the TRQ, then all countries capable of providing any portion of the import market share are to be considered. The U.S. has historically assigned part of the TRQ to countries that provided less than 1 percent of the import share. Thus, even if Cuba is unable to provide 10 percent of the market for sugar, it would still be considered to have a “substantial interest” and thus would be granted access to the TRQ. At this point, the U.S. would have several options to determine the TRQ for Cuban sugar and other products. As there have been no recent official trade statistics, the U.S. could argue that there was little recent history on which to base an appropriate TRQ allocation for Cuban products. The U.S. could then open a competitive bidding process to reset country-specific quotas or it could simply reduce current TRQs and provide a portion of the market share to Cuba. It could also increase the overall TRQ for certain products. As the U.S. has implemented several broad preferential trade programs aimed at increasing economic development throughout the developing world, it seems likely that Cuba could be included in such a program upon the resumption of normal trade relations. The trend seems to be to enter into such bilateral or regional free trade agreements as a means of reducing barriers to trade within the principles of the GATT and WTO. Cuba would also presumably be eligible for membership in the North American Free Trade Agreement (NAFTA), which would allow preferential access to Cuban agricultural products. The U.S. historically has been among the world’s foremost proponents of free trade. It therefore seems unjust that we freely export billions of dollars of U.S. agricultural products to Cuba, yet ban its imports even though it are largely produced by the private sector. A strong argument could therefore be made that the best means of assisting Cuba at minimal cost to the U.S. would be to implement preferential (including protected) trade access for the island’s products which are of agricultural origin and would not compete with products actually grown in the U.S.
Dr. Timothy Ashby, a Florida-based attorney, is CEO of Federal Regulatory Compliance Services and Counsel with the International law firm SNR Denton. He served at the US Commerce Department, International Trade Administration, as Director of the Office of Mexico and the Caribbean and acting Deputy Assistant Secretary for the Western Hemisphere. 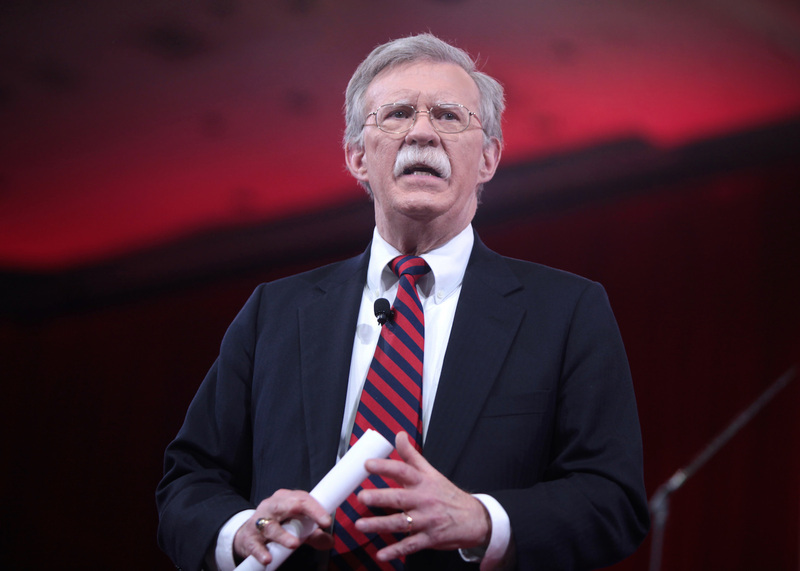 He is also a Senior Research Fellow with the Council on Hemispheric Affairs. References for this article can be found here. To read more about Cuba, click here. ← The Trafficking in Persons Report: Who is the United States to Judge?